U.S. Sen. Sherrod Brown, D-Ohio, speaks at a Culinary Union hall Saturday, Feb. 23, 2019, in Las Vegas. Sen. Sherrod Brown (D-Ohio) wrapped up his “Dignity of Work” tour over the weekend with several stops in South Carolina. Valerie Royzman, editor of Kent State student newspaper The Kent Stater, covered Brown’s visit to the state. South Carolina voted heavily for President Donald Trump in 2016, but Royzman says despite that, Brown connected well with people. Brown’s tour has focused around a pro-worker message, but the senator says he’s learned a lot about people’s views on issues like funding for children’s initiatives. Royzman says people overwhelmingly expressed concerns access to health care and raising the minimum wage. Brown’s tour has taken him to several early primary states, and Brown says he’ll announce by the end of this month whether he’ll run for president. On Sunday, Brown flew to Selma, Ala., where he joined other notable Democrats for a day of events commemorating the infamous "Bloody Sunday" in 1965. The demonstration began peacefully but ended in police beatings on the Edmund Pettus Bridge, an event that galvanized support for the passage of the Voting Rights Act that year. After attending the Martin Luther and Coretta Scott King Unity Breakfast, which also included 2020 contenders Sens. Cory Booker (D-N.J.) and Bernie Sanders (D-Ver. ), Brown took part in a march over Edmund Pettus Bridge. It was Brown's fifth visit to Selma, where he drew a connection between civil rights and workers' rights. "We need to understand what happened here and we need to talk about it so we keep fighting on these issues," Brown told reporters at the breakfast. "It's clear we make progress and then we fall back because of Republican attacks on voting rights." Claiming that the Georgia governor election was stolen from Democrat Stacey Abrams, Brown said: "It's not just a Southern issue, of course. In the north we see all kinds of changes in voting laws. We see suppression of the vote in 2016, purging of voters in my state in a big way. This fight continues. It's become personal in many ways because voting rights are so important to our country." Voter suppression emerged as a key issue in the 2018 midterm elections in states such as Georgia and North Carolina, where a Republican congressional candidate was accused of rigging the contest there through absentee ballots. House Democrats signaled they plan to make ballot access a priority in the new Congress, introducing legislation aimed at protecting voting rights in 2020 and beyond. Democrat Sherrod Brown brought a pro-worker message Saturday to Las Vegas casino workers who are members of what's considered Nevada's most powerful labor union, declaring that if he decides to run for president, he will be "the most pro-union candidate." 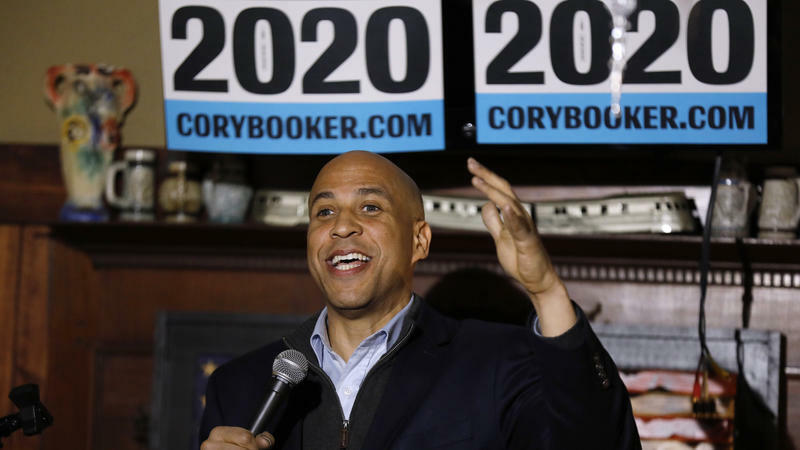 New Jersey Sen. Cory Booker, one of half a dozen Democratic senators running for the White House, is reintroducing a bill on Thursday that would fundamentally end the federal government's prohibition on marijuana. Sen. Sherrod Brown has introduced legislation to address what he says is a growing problem for employers and for people getting treatment for addiction. In this week's episode of Snollygoster, Ohio's politics podcast from WOSU, hosts Mike Thompson and Steve Brown ask former Ohio State Senator Nina Turner why Democrats should support Bernie Sanders over other progressive candidates. Former Vice President Joe Biden is inching closer to jumping into the 2020 presidential race, saying Tuesday that his family is behind another run for the White House. 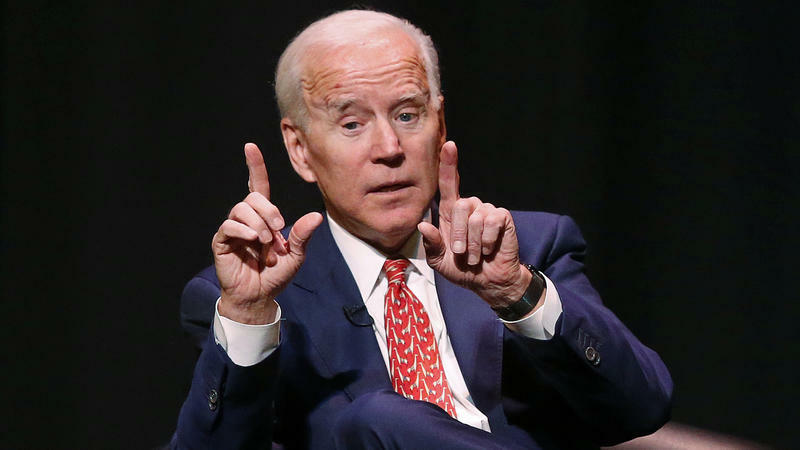 "The first hurdle for me was deciding whether or not I am comfortable taking the family through what would be a very, very, very difficult campaign," Biden said during an interview with presidential historian Jon Meacham at the University of Delaware.